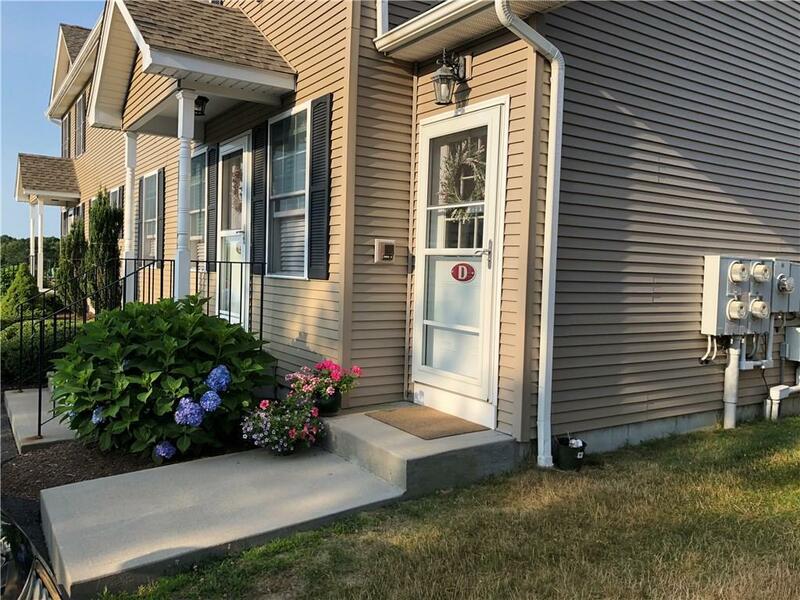 Nearly new, beautiful light filled SECOND floor 2 bedroom 1.5 bath condo only minutes to Charlestown beaches. Simplify life with these low maintenance condominiums while enjoying equally low Charlestown taxes and condominium fees ($175 per month). Attached master bath and walk in closet, granite in bathroom & kitchen with hardwood flooring in the living area and ceiling fans in bedrooms and living room. Stainless steel appliances and washer and dryer in unit convey. Each unit has its own private patio and ample storage space in the basement. Quiet 50+ community , low to moderate income restrictions. Small pets under 45 pounds. Wonderful neighborhood! Affordable housing with income for one person not to exceed $67,450, and two people not to exceed $77,100.00 annually. It is a SECOND floor unit- there is a flight of stairs to walk up, staircase was engineered wide, so that a stairlift can easily be installed, if need be.